One essential in improving technique is our ability to work with the water, using more finesse and less brute strength. But finesse in the water rarely comes naturally. While "feel of the water" may come naturally to gifted elite swimmers, the rest of us must learn how to "feel" the water with our entire body, not just the hands and cease our endless struggling to plow ahead. Proprioceptors (specialized nerve endings) in our joints, muscles, and skin give us constantly updated information on how our joints are angled, how fast we’re moving our limbs, how our arms and legs are positioned, and the pressure of the water against various body parts. This wealth of feedback can overwhelm us if we can’t process it – or can help us achieve balance and flow if we learn to organize it and use it correctly. Fistgloves® help us do that. Using them for the first time, you’ll feel relatively helpless for the first 5 or 10 minutes. But your brain will seek to solve this new puzzle by using other sources of information and other means of working with the water. 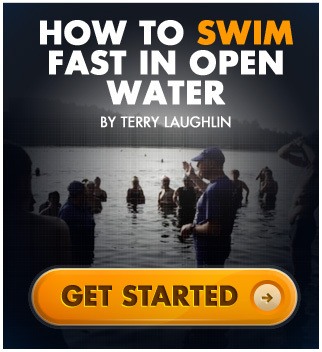 Almost automatically, you'll start to swim with more finesse and awareness. After wearing the gloves for 15 to 30 minutes, swim with open hands. You'll immediately experience what we call the fistglove® effect – a rush of information from your previously "ordinary," but now highly sensitive, hands to your brain that immediately helps you become more discriminating in how you apply hands to the water, instinctively choosing angles that give maximum purchase on a highly elusive medium. You'll also become ultra-sensitive to the importance of "gripping" the water instead of "slipping" through it. When we have our students wear Fistgloves at Total Immersion workshops and camps, the normal rate of transformation and improvement becomes markedly accelerated, because the gloves reinforce everything our drills teach. During our summer kids camps, we typically have a large group of "average" swimmers and only a limited time to teach them true and lasting fluency in all four strokes. When we began using Fistgloves, we saw a dramatic increase in learning speed with swimmers in every age group, from 8 to 17. We now have the campers wear the gloves for over 80% of their water time at camp, usually removing the gloves for only the last 5 to 15 minutes of each 90-minute session. How to use them. The higher your ratio of drill-to-swim, the higher percentage of your overall yardage should be with Fistgloves. In an hour of mainly-drill practice, you might wear the gloves for the first 40 minutes, then finish the practice with bare hands. As you increase the amount of swimming, you might switch to a 50:50 ratio of gloves to bare hands. Competitive swimmers in training, might use Fistgloves as much as 70% of the time in early season, gradually reducing that ratio to 30% or less in mid-season, then increasing Fistglove use in taper to 50% or more. During taper, the gloves will reduce stress and fatigue and increase sensitivity and kinesethetic awareness. For developing swimmers, a novice could use Fistgloves 70% to 80% of the time, an intermediate swimmer 50% to 70% of the time and an advanced or elite swimmer 30% to 50%.